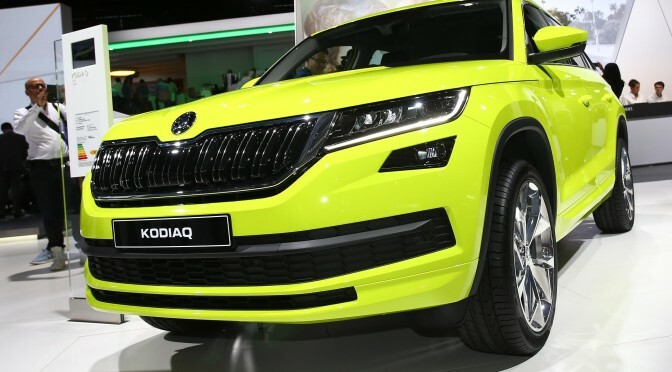 ŠKODA Kodiaq, unveiled at the Paris Motor Show is the brand’s first large SUV. 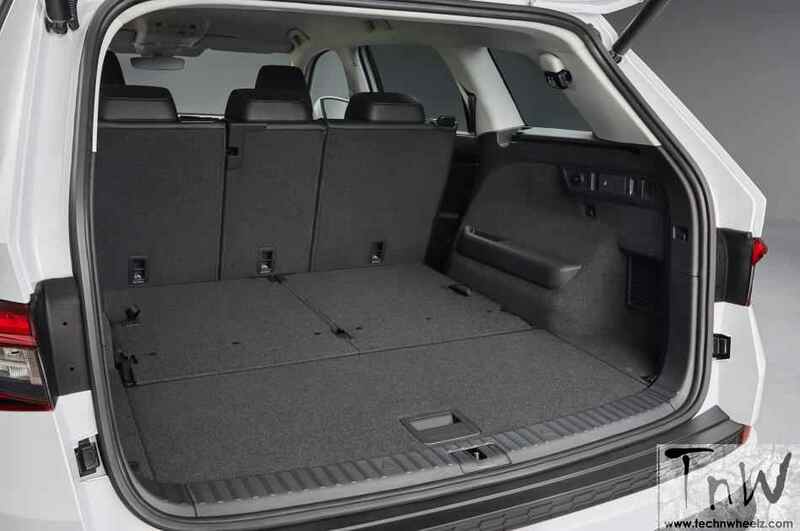 The brand transfers its new design language into the SUV segment. 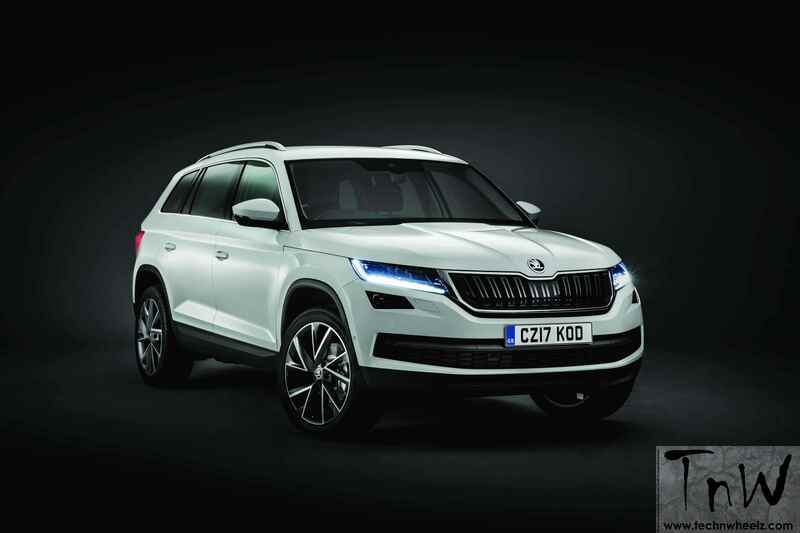 The Kodiaq features a distinctive interplay of elegant lines, sporty contours and robustness. Therear seats can be folded in the ratio 60:40, can be moved lengthways by 18 cm as standard and the angle of the backrest is individually adjustable. 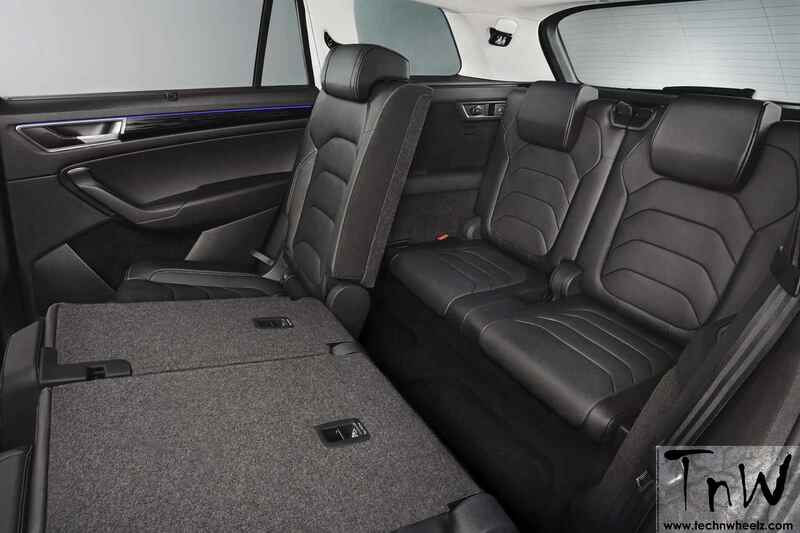 Two more seats in the third row are available – the Kodiaq is ŠKODA’s first 7-seater. Optional Driving Mode Select and DCC shock absorbers.